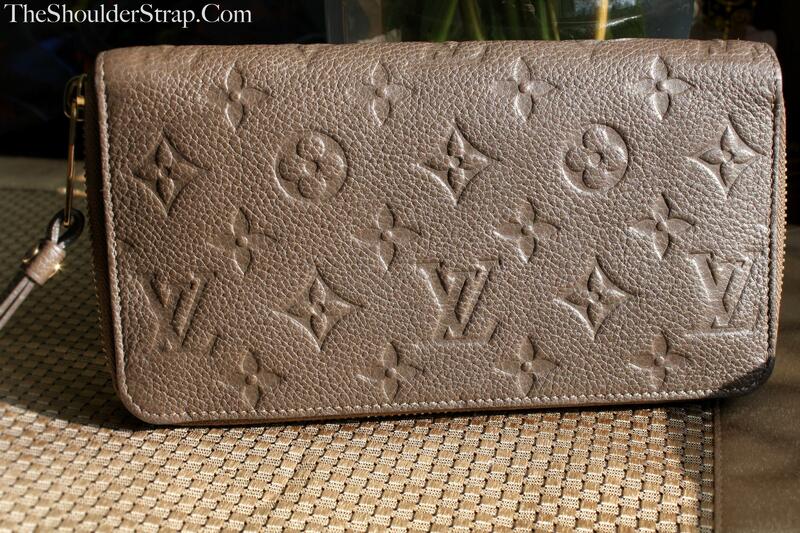 One of the most luxurious prints available, the Louis Vuitton Empreinte leather is both subtle and stunning. Similar to the Empreinte is the Mahina leather--totally worth checking out as an alternative to this print. This LV Secret Long wallet comes with more than ample room for cards, cash and coins and the leather is very durable despite how fragile it may look.